Every time you book and stay at Observation Rise you will receive a complimentary bottle of WA wine. It is the perfect gift to enjoy during your stay and we look forward to showcasing plenty of wines from across our great state in the months ahead! 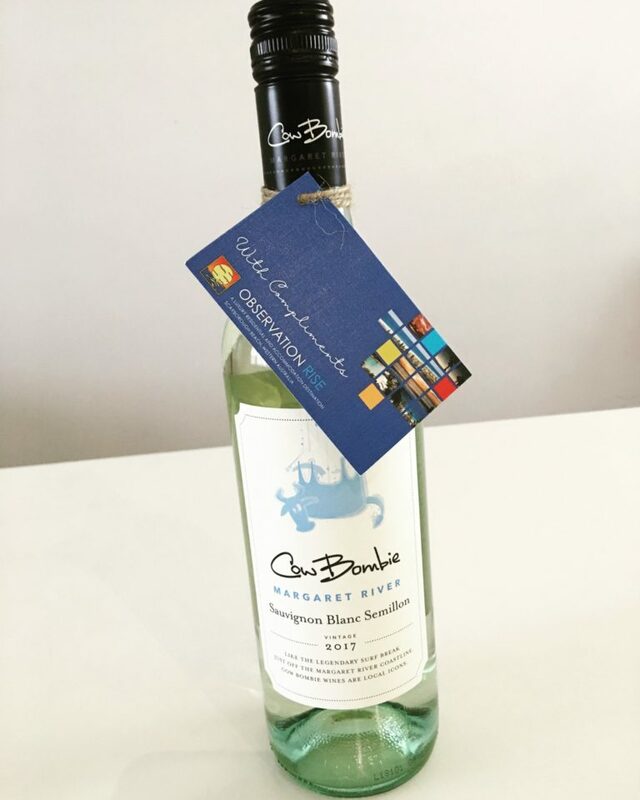 The first wine to kick-start the summer season is a light, crisp and delicious Sauvignon Blanc Semillon from Cow Bombie in Margaret River – a definite favourite with some of the Observation Rise staff! There will be a great selection of white and red wines throughout the year to cater for every season and we might just pop in the odd bottle of sparkling or rose for a little bit of fun! We hope you enjoy this little treat and be sure to enjoy your stay!